​The owner of a “Muslim free” shooting range in Arkansas is under fire after recently refusing service to two Hindu men, allegedly because of the color of their skin. 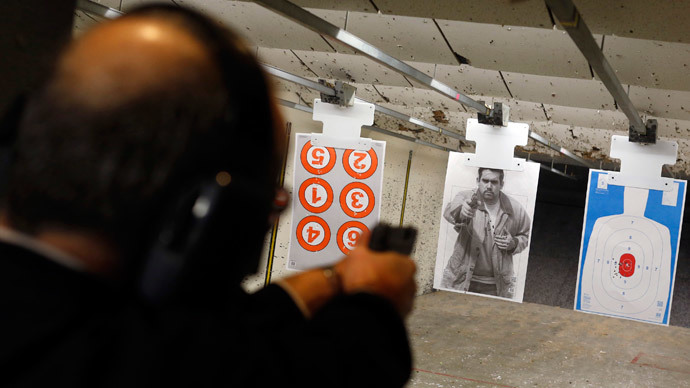 Now, according to The Arkansas Times, potential patrons are learning firsthand that the shooting range isn't joking about its non-Muslim leanings. “The Times was contacted over the weekend by a college student from Hot Springs who went to the Gun Cave with his father for a round of target practice,” Benjamin Hardy blogged for the paper. “When we went in, a woman asked, ‘Where are you guys from?’” the anonymous source recalled to the Times. “We told her we were from Hot Springs. She said, 'this is a Muslim free shooting range,' so if we are [Muslim] and if we don’t like the rule, then leave. We said that we’re not Muslim, but my dad asked, ‘Why is it Muslim free?’ and they started having a conversation. Then, all of a sudden, I don’t know what went wrong, but she stopped us from filling out the paperwork and said ‘I don’t think you guys should be here.’ She told us to leave or she’d call the cops on us." "We’re brown; I don’t know if she assumed we were Muslim," the college student explained to Hardy. "When she first asked us, she said, ‘I would hope if you were Muslim you guys wouldn't be cowards and would be up front about it.'" Local television news network WDAF-TV has since followed up on the Times’ lead and identified the two men as Hindus. “When they explained that they are Hindu, not Muslim, they were apparently told that it didn’t matter,” the station reported. The Gun Cave issued a response on its official Facebook page late on Tuesday.